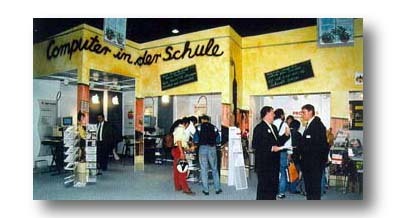 Apple Computer GmbH next to Profikids Computerschool. 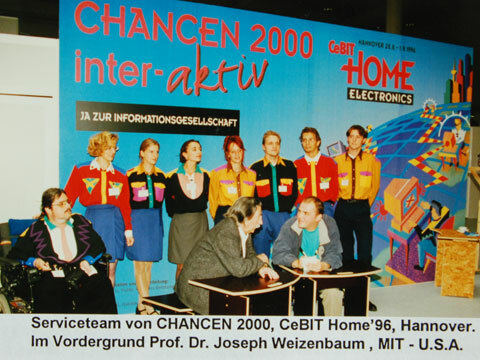 Prof. Dr. Joseph Weizenbaum from MIT, Cambridge, MA, USA together with the Service Team at CANCEN 2000 inter-active during CeBIT `96. Arno A. Evers FAIR-PR, (left) from the project management of the event is giving last explanations. 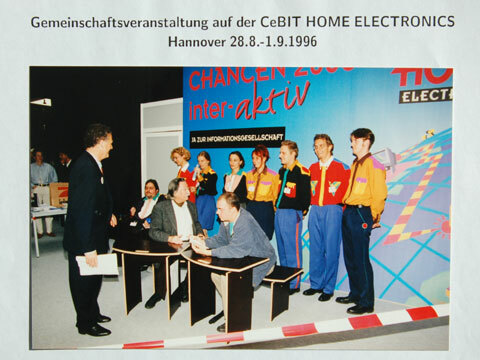 Gabi Bauer, at that time journalist at Norddeutscher Rundfunk, fernsehen, Hannover, at an interview with Arno A. Evers, project management of the CHANCES 2000 event: „Yes to the information society“. 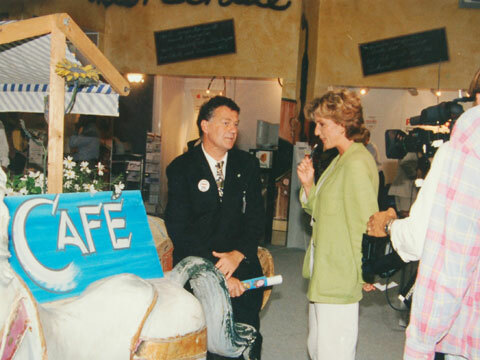 Ms. Bauer became in 1997 the first Moderator at the German Televison Prime News: Tagesschau. Since 2006 she is moderating the Night Magazine in the First German Television Programme.